Accredited Practising Dietitian, founder of and Mum of three, Kate Bullen has gone from A for Additives to Z for Zinc, providing you a guide to keeping your family’s food healthy and nutritional. Additives – may include preservatives that help keep our food safe to eat, or colours and flavours added to make food tastier and more appealing to eat. Most people don’t react to food additives, but some people do. If you think your child might be reacting to food additives, please speak to an Accredited Practising Dietitian. Breakfast – it really is the most important meal of the day. Research has shown that children who eat breakfast are more likely to have a healthy diet. Quick and easy breakfasts include a piece of fruit, some toast, a smoothie or a couple of Weetbix with milk. Calcium – needed for strong bones, which is most important in growing children. Dairy foods such as milk, cheese and yoghurt are our best sources of calcium. But, we can also get calcium from other foods including almonds, tahini, salmon and dark green leafy vegetables such as broccoli and bok choy. Drinks – the easiest, cheapest and healthiest drink is water, followed by milk. Drinks are important to stop children getting dehydrated – particularly in our hot summer months. Encourage regular drinks of water throughout the day and get children in the habit of having water as their first choice of drink. Eggs – boiled eggs are our family’s easy meal. My children will have boiled eggs at least once a week – add a bit of salad to the plate, and some toast – and an easy, healthy and tasty meal is ready to eat. Children typically love eggs and they are a good powerhouse food with plenty of protein and other vitamins and minerals. 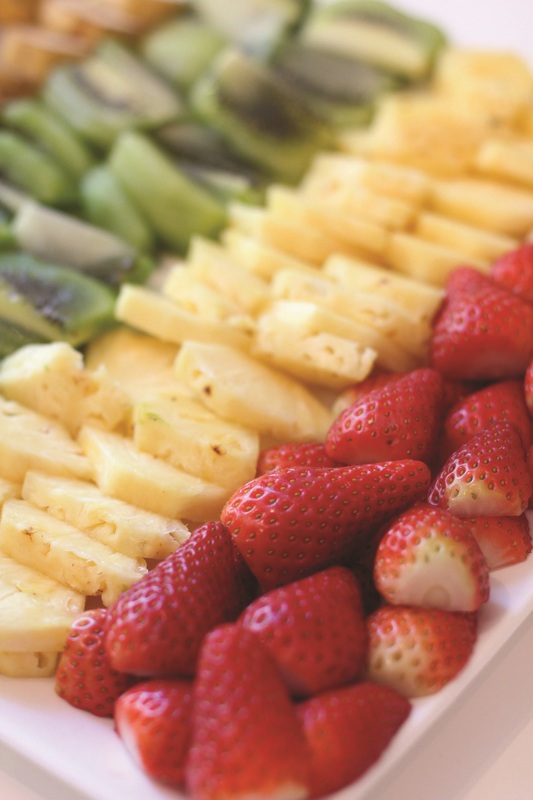 Fruit – summer fruit is the best! Watermelon, grapes, mangoes, stonefruit – all so tasty and plentiful. Fruit is great for snacks, but also delicious when whizzed up with some milk and yoghurt to make a smoothie, or used in baking muffins. Frozen grapes are an easy fruit to add into the lunchbox – and stay cool till lunch which increases the chances of them being eaten! Genetically Modified Food – relatively new in Australia, and really comes down to personal choice. As yet we don’t know if there are any long term effects of eating genetically modified food. Most foods will be labelled if they contain genetically modified ingredients. Hunger – does this phrase sound familiar “Mum – I’m hungry”? I hear this many times a day! Sometimes it’s true hunger, sometimes it’s ‘boredom hunger’. Children typically need to eat every two to three hours as they only have little stomachs – so this can be a clue as to whether they are truly hungry. If you don’t think your child is hungry, try re-directing them to another activity until it is time to eat to avoid ‘boredom eating’. Iron – if you have a teenager at home, you might want to check if they are getting enough iron as the amount of iron they need increases during the teen years. If they don’t get enough iron, anaemia can develop. The best sources of iron are red meat, chicken, fish, eggs, nuts, seeds, wholegrain breads and cereals. Junk food – it is almost impossible to completely avoid junk food, but keep it to special occasions. Once a week is occasional, when junk food is eaten every day then you may need to reassess a child’s diet. Kilojoules – the preferred unit of measuring energy in Australia, abbreviated to kj. Kilojoules are what you will see referred to on food labels. Calories are the alternative measure of energy. One calorie = 4.186 kilojoules. Legumes – baked beans, chick peas, lentils and kidney beans are all lentils (sometimes also called ‘pulses’). They are a great sources of protein and fibre – try adding some legumes into your next mince dish. 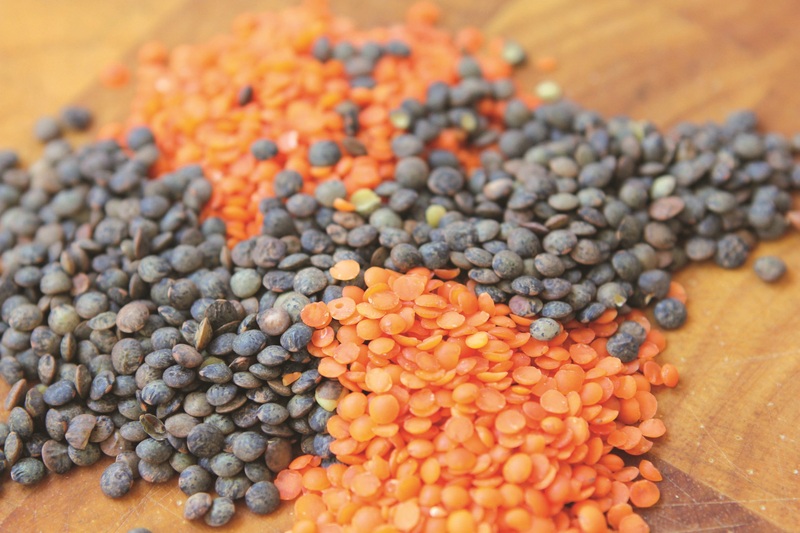 Lentils go almost unnoticed by children, so can be a good one to try. Meat – choose lean meat with very little visible fat. Red meat such as beef and lamb is a great source of iron and zinc. Eating lean meat a couple of times a week is a great way to make sure your kids get plenty of these nutrients. 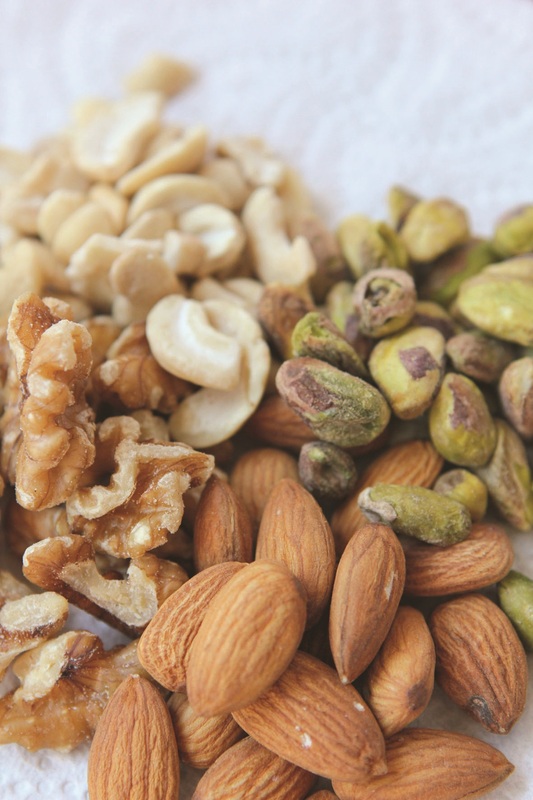 Nuts – fantastic sources of protein, fibre and vitamins. Great snacks for older children, although not appropriate for taking to school due to the risk for any children with nut allergies. Overweight and obesity – current research shows that 23 per cent of primary school aged children are overweight or obese. If you are concerned about your child, speak with your GP and an Accredited Practising Dietitian. Probiotics – good bacteria to help keep the digestive system healthy. Most useful to reduce the likelihood of antibiotic-induced diarrhoea. Whenever my children have a dose of antibiotics, I usually get some probiotic yoghurt and milk drinks to have daily for a couple of weeks. 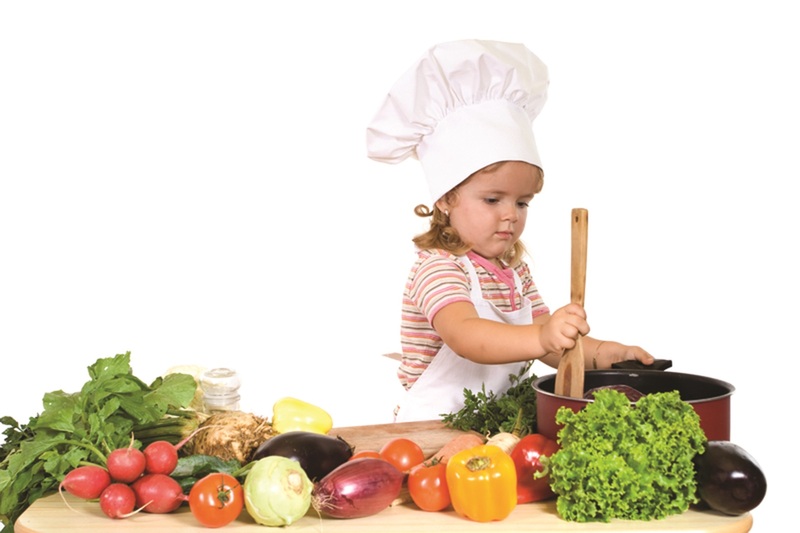 Recipes – involve your children in cooking and planning family meals, and they will be more likely to eat the food. This is a win-win! Sugar – naturally occurring sugar in fruit and milk is unlikely to be a concern in a child’s diet as they provide other important nutrients. Added sugar in foods (eg. biscuits, cakes) is something to watch out for, as sugar can be easily over-eaten – particularly by children. Trans Fat – avoid as can increase cholesterol levels. Most often found in processed foods such as biscuits and pastries, fried foods and takeaways. Underweight – less common than overweight, but can still be cause for concern. If you are worried about the weight of your child, please speak to your GP or an Accredited Practising Dietitian. Vegetables – very few of us eat enough vegetables. 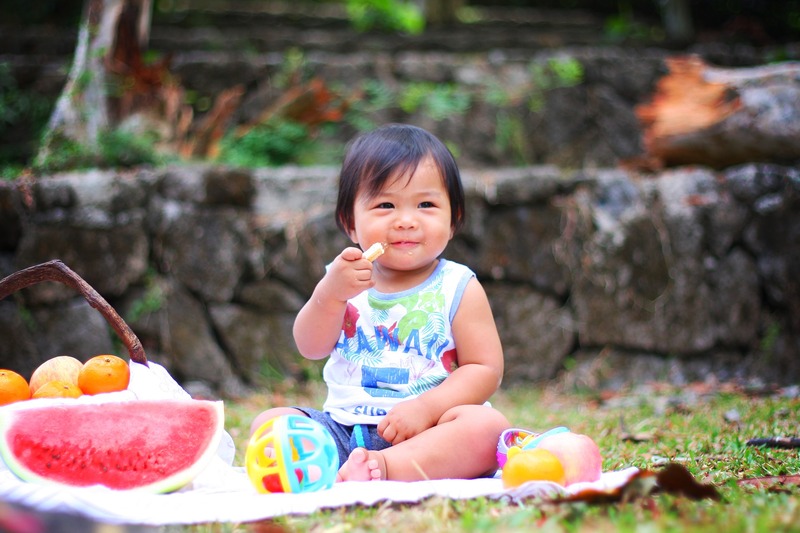 Children will typically model their eating from their parents. If there is one change you make to your families eating, then I would strongly encourage it to be eating more vegetables. This is a change you won’t regret! Whole grains – choose whole grains instead of refined and processed grains to get more fibre and antioxidants. Zinc – essential for normal growth and development in children. Good sources of zinc include lean meat, chicken, fish, lentils, nuts, seeds and wholegrain cereals.